The Lord Jesus called all who would be His disciples to “learn of me” (or “from me,” Matthew 11:29), and our text verse contains the first use of “learn” in the New Testament, thus indicating a basic item we must learn when we become Christians. The Lord stressed that God cared nothing about the ritualistic offering of animal sacrifices, as such, but rather desired understanding of the meaning of those sacrifices, accompanied by the motivating love and faith of a repentant heart. He referred them back to their own Scripture: “For I desired mercy, and not sacrifice; and the knowledge of God more than burnt offerings” (Hosea 6:6). This is the most difficult but most basic lesson to learn by one seeking forgiveness and salvation. There are many subsequent lessons to learn, of course; many of them very difficult even for sincere, believing Christians. Paul notes one of them he had learned the hard way: “I have learned, in whatsoever state I am, therewith to be content” (Philippians 4:11). Another difficult but vital lesson has to do with Christian humility in leadership, “that ye might learn in us not to think of men above that which is written, that no one of you be puffed up for one against another” (1 Corinthians 4:6). 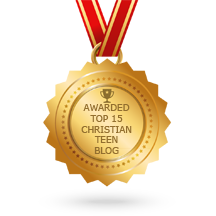 This entry was posted in A CLICK A BLESSING TODAY, CHRISTIAN NUGGETS and tagged Lessons to Learn. Bookmark the permalink.